Talon Vibra Gloves will complement a wide range of XAX Apparel workwear at The Safety Show. XAX Apparel will demonstrate its new vibration absorbing work gloves as part of its comprehensive workwear range at the Safety Show, Sydney, October 26-28. 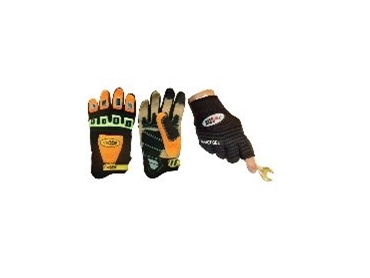 The MX Talons Vibra Glove offers long wearing comfort for machinery and power tool operators. Hi-tech soft polymer vibration absorbing gel has been added to the critical impact palm areas of the glove, lessening damage from constant impact, vibration and shock, which can cause White Finger and Carpel Tunnel symptoms. They are available in full finger or half gloves. XAX's range of 100% cotton workwear will also be on display. XAX’s gloves are comfortable and made of natural fibres that has advantages for wear and durability in hot or abrasive environments - making them suitable for a wide range of industries, according to the company. The range also includes overalls, shirts, trousers, polos and vests in basic, 'xtra' and high visibility models, and a winter warmth line. XAX is an Australian company, family owned and operated. Many of its garments have evolved through its interaction with industry and attention to the design needs of the wearer. To learn more, visit XAX at stand M13 at the Safety Show Sydney, which runs from October 26-28, at the Sydney Showground, Sydney Olympic Park.